The Orchard Project, is on track to hit its target of rescuing 20 tonnes of waste fruit and turning it into scrumptious cider and juice by the end of the year. 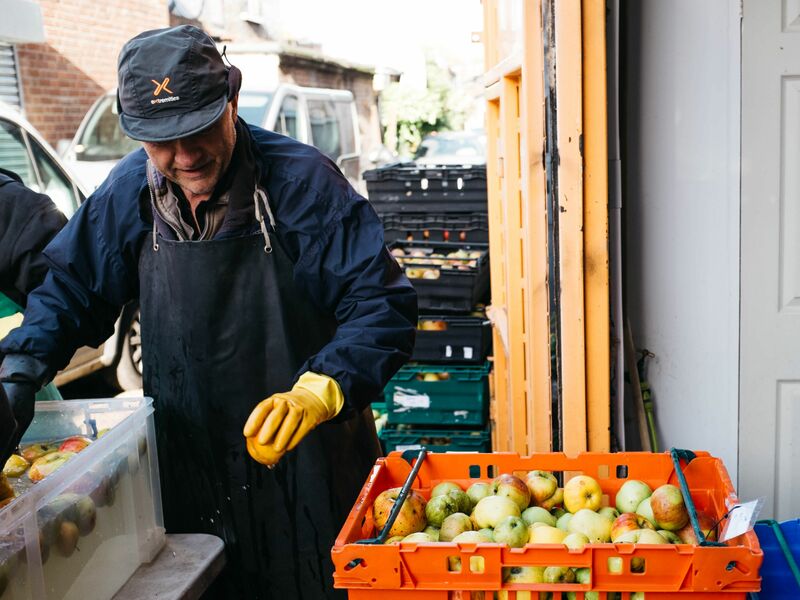 The neglected, surplus fruit is donated and collected from London’s gardens, orchards and parks where it would otherwise be left to rot, making the cider a unique London brew; 100% local with no air miles and a very minimal carbon footprint. Its consumers can also feel good about supporting a food waste reduction initiative, while enjoying a different taste with every harvest (the varieties of apples used in each batch vary depending on which fruit is donated). The project has even started to source its fruit from commercial supply chains and hopes to explore this avenue further, – a win-win for conscious businesses and cider fans alike! An army of dedicated volunteers powers the Community Cider Hub under the direction of two part-time female cider makers from The Orchard Project. Nearly 700 volunteers have been trained in harvesting, pressing and bottling the since its inception in 2016, making this a true community effort. The charity ensures that each person leaves with an increased awareness of food waste issues and a free bottle of Local Fox Cider of course. Every part of the process, from scratting and pressing to bottling and labelling, is conducted handcrafted, using traditional methods to preserve our cider heritage. Over 15 tonnes of fruit transformed into beverages since 2016. Approximately 15,000 bottles of cider and juice produced since 2016. Individuals and community orchards who donate fruit are given cider, tools or training on fruit tree care in return. Community Cider Hub and ensure it continues to thrive and grow. The campaign is live from 7th November until 5th December 2018. With a target of £17,500 to raise, the charity is urging people to spread the word and support the campaign at www.crowdfunder.co.uk/localfox. Those who pledge can bag some exciting rewards, from cider gift boxes and signed cider books, to fruit tree pruning and grafting workshops and exclusive artwork. “Picking and collecting apples with my children: Lovely to participate in a community activity involving various generations rather than just adults.” (Marie, volunteering at a harvesting day). “It’s transforming how we see food waste and finding value out of what others see as a problem” (Arthur, London chef who supports the project).